The Caribbean has long been my happy place. Since my first visit to The Bahamas as a kid on a cruise with my family, I’ve been hooked on turquoise sea and white sand. I’ve always said I can’t pick a favorite country in the world, but I might just be able to pinpoint the Caribbean as my favorite region. I’m just so fascinated by the history, intrigued by the marriage of cultures, and of course captivated by the scenery, the sea breeze, the balmy weather and the friendly people. 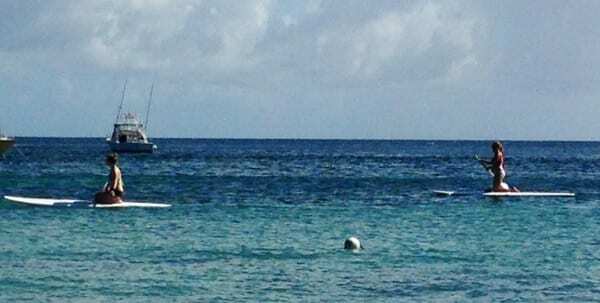 The Atlantic Ocean on the left, the Caribbean Sea on the right. St. Kitts has some breathtaking views. It will come as no surprise that it took absolutely no thought to say an immediate and enthusiastic YES when I was invited to experience St. Kitts for the first time. I likely would’ve said yes even if some of the worst media offenders were invited, but I was blessed this time because not only were there no jerks, my other two cohorts were travelers I absolutely adore - Jade from Vagabond3 and Kristin from Camels & Chocolate. 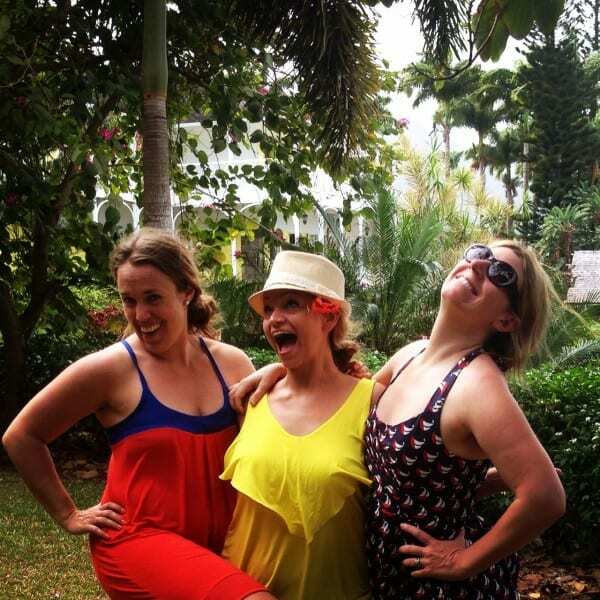 Can you say much-needed girls’ trip?! Yup. 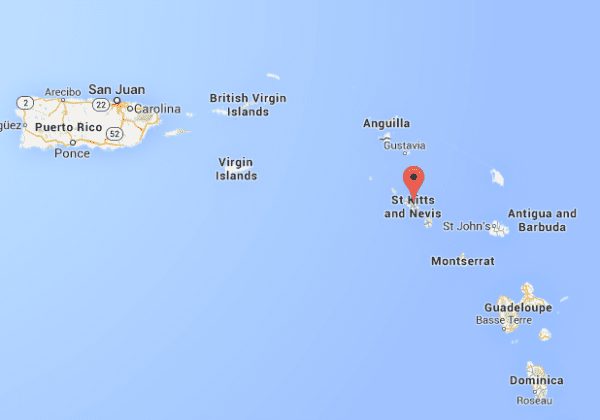 So what did I know about St. Kitts before my trip? Not much. And as it turns out, most folks I told about my visit didn’t know either. I heard “Is that in the British Virgin Islands?” more than once. Nope. St. Kitts, also known formally as Saint Christopher Island, is one of the Leeward Islands in the Lesser Antilles. South of Miami, southeast of the BVIs and neighbors with Anguilla, Antigua & Barbuda and Montserrat, Saint Kitts is actually a part of the Federation of Saint Kitts and Nevis. The two islands make up one country. Less than a decade ago, St. Kitts’ economy was all wrapped up in sugar. In 2005, the island shut down sugar and focused full throttle on tourism. Even without the sugar industry, I learned very quickly that St. Kitts is a gentle island with a very sweet disposition! 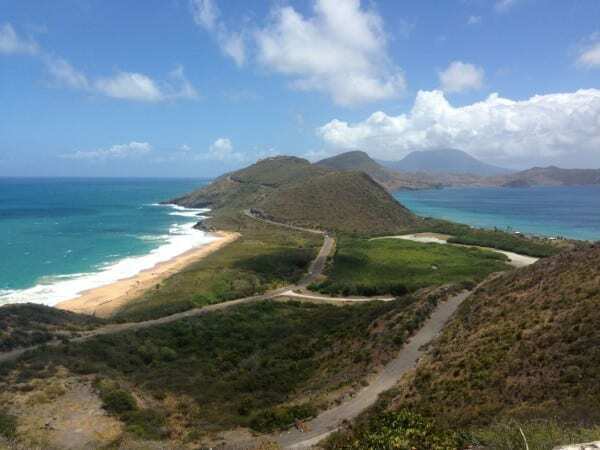 So what is there to do on Saint Kitts? 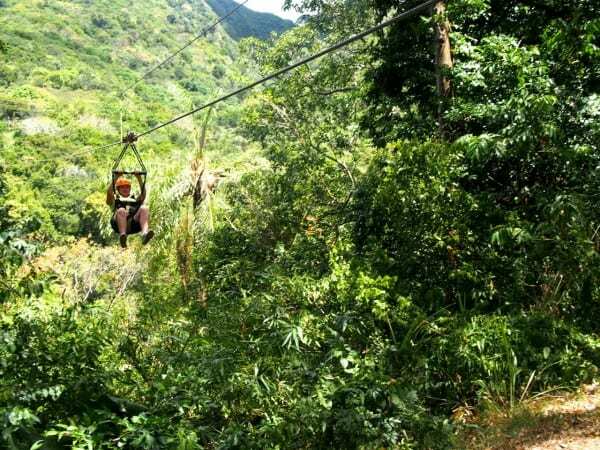 There are the usual island destination soft adventure activities available to satiate both the day-tripping cruise passenger and the super active fly-in traveler – volcano & rainforest hiking with world famous guide O’Neil Mulraine, whizzing through the Wingfield Estate treetops on a zipline at Sky Safari, scuba diving, helicopter rides, SUP and flyboarding at Reggae Beach. 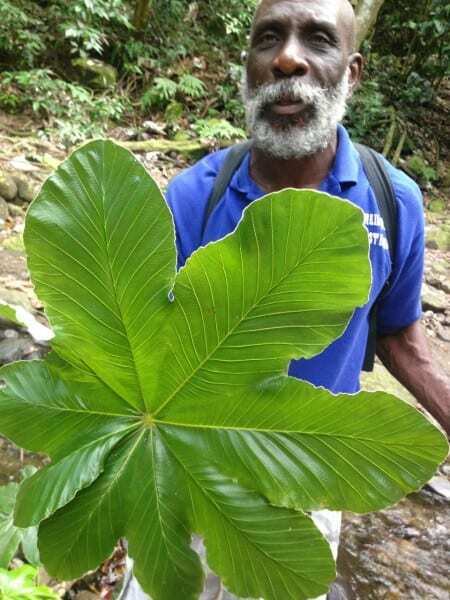 The best rainforest guide ever, Mr. O’Neil Mulraine. He knew EVERY plant, tree, shrub & creature! 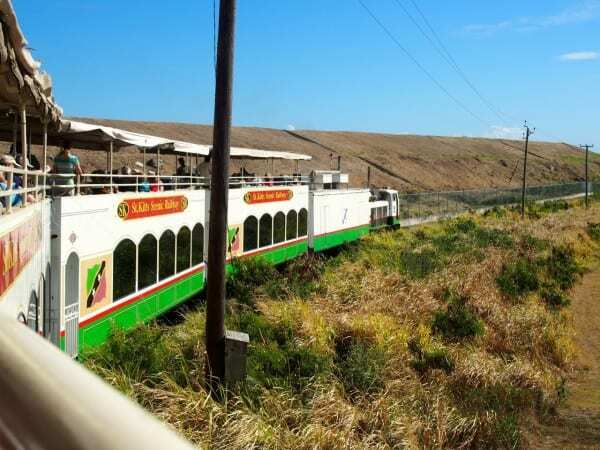 And you can’t miss the not-terribly-adventurous, but extremely lovely St. Kitts Scenic Railway, an 18-mile train journey on the old sugar-transportation line. There’s no better way to take in the island’s scenery than from atop an open-air, double-decker train car. Mr. X’s Shiggidy Shack wins hands-down for the best-named restaurant on the island (the world?) and the wildest Thursday night festivities, but I also loved laid-back Carambola Beach Club and the Spice Mill for seaside, open-air dinners. Like beer? 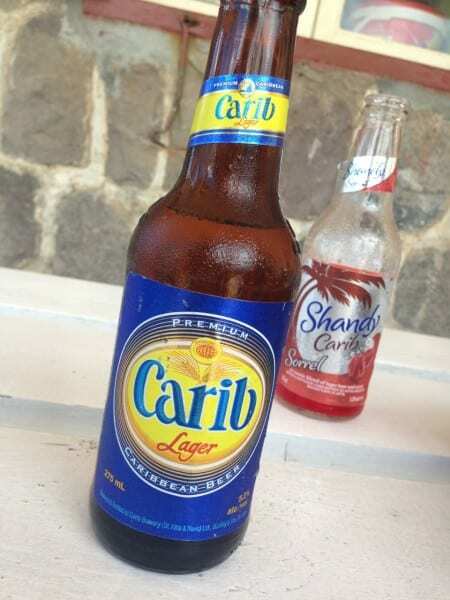 Try Carib, a favorite brew in this part of the world. 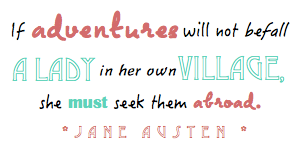 So if you’re not eating or adventuring, what are you doing in St. Kitts? There’s a nonchalance in the air here that makes it ok, if not preferable, to spend hours staring off at some mysterious mountain in the distance. You don’t think about what you need to do or where you need to be. You just exist in the calm that rolls down the green hills toward the sea. 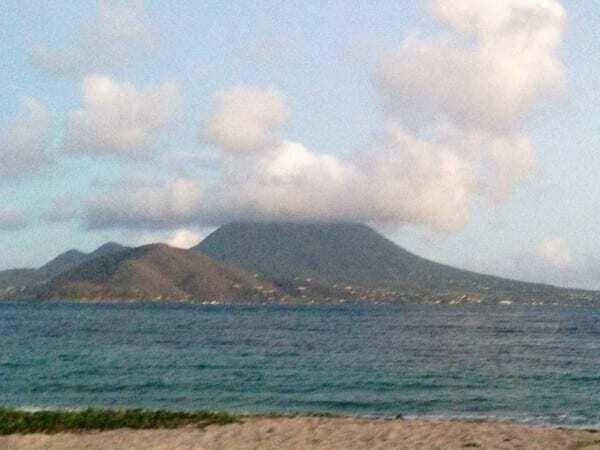 Nevis, as seen from neighboring St. Kitts. Ottley’s Plantation Inn at sunset. The perfect spot to lounge. 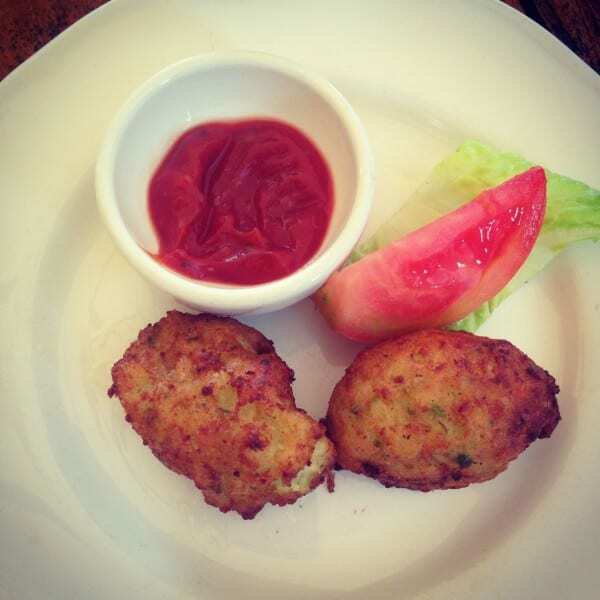 St. Kitts is on the verge of something big. Sure, there are plenty of families who have been visiting this island for years and years. 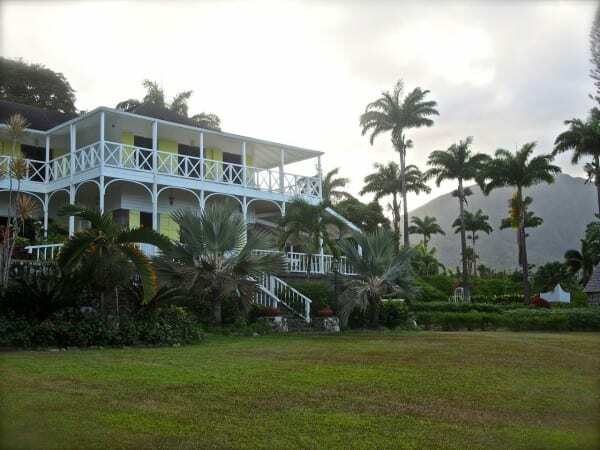 With direct flights from Miami and established accommodations like the Marriott and Ottley’s Plantation Inn, it’s not a huge secret that St. Kitts is on the map and open for business. Now that the island’s focus has purposefully turned from sugar toward the island’s natural allure as a destination, more touristic development is underway. That might send up a red flag in your mind – it certainly did for me at first. No one wants to see an authentic Caribbean destination turned into a sterile amusement park full of bland high rise hotels, right? From what I can tell, that’s not going to happen on St. Kitts. The two new properties under construction — Kittitian Hill and Christophe Harbour – seem genuinely concerned about the impact of development on the island. Having seen the ruin from some truly rapacious hotel developments on islands I once loved, this sits well with me. I don’t usually go gaga about hotels. I sleep in them for hundreds of nights every year, so it takes something incredibly special to prompt a standing ovation from this jaded traveler. 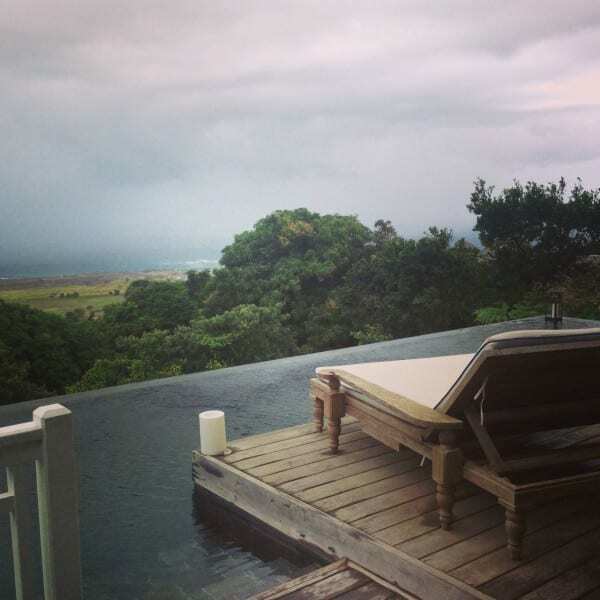 The fact that I’m saying Kittitian Hill is in the running to be my favorite hotel in the world means something… especially because it’s not even open yet & I’ve never stayed there. Watch for a post coming soon about just how brilliant the concept is. 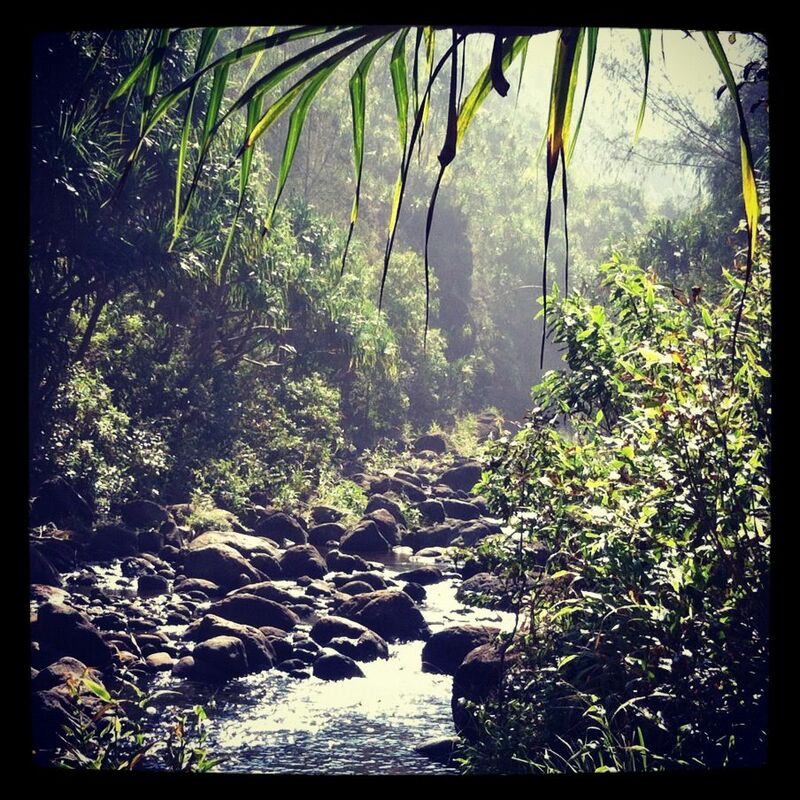 Farm-to-table, green, sustainable… all the responsible travel buzzwords married with luxurious, thoughtful architecture, all placed ever so gingerly in the lushest hillside. Yes, yes, yes, yes! If only the entire Caribbean could model Kittitian Hill’s development in the future, the region would be in good shape. I can’t wait to write more about this property and to visit as each phase comes online. It’s something you have to see to believe. Sneak peak! The view from one of the few completed private bungalows at Kittitian Hill. More photos & coverage to come. This is the next big thing! Thank you to St. Kitts Tourism for hosting my visit. All opinions, as always, are my own. I’ve never been to the Caribbean, but it’s always been on my list. (The Pirates of the Caribbean films helped, too – though I may now have unrealistic expectations of seeing Johnny Depp swashbuckling onto the beach.) St Kitts looks fabulous, too. It was on my radar anyway, but this has definitely bumped it up the list. What a beautiful place! And it looks like you were having a great time. I wish I could go some day. I’ve visited so many places in the Caribbean and I’ve yet to visit St. Kitts, although it is the #1 place that I’d still like to visit! Every picture of St. Kitts that I see looks absolutely gorgeous. Maybe for my visit there, I’ll have to stay in one of those new hotels – they sound fantastic!